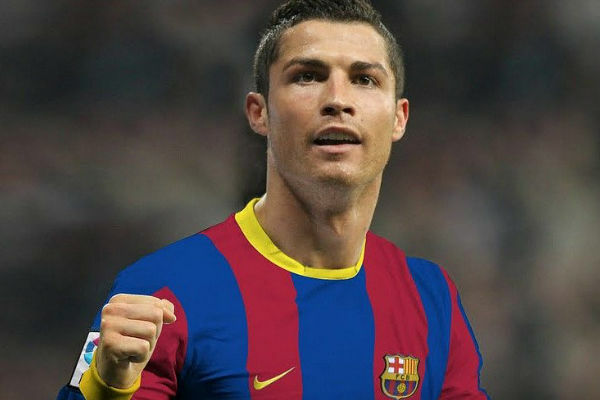 Cristiano Ronaldo could stir Real Madrid to Barcelona. Luis Figo the former Barcelona and Real Madrid winger believes that CR7 has the possibility leap to the Spanish Rivals as he did in the year 2000. He made the jump from Barca to Los Blancos creating sensational switch between Barcelona and Real Madrid. The former midfielder who played for Portugal who made the world breaking opposite move from Nou Camp to Bernabeu. Figo expects the same thing can be happened again with Ronaldo. He told they were in a free market and if there is a termination clause, anything could happen. By speaking about the 16 years ago deal he told the first reason for moving the club. He got the recognition which was made by the Los Blancos president. The environment were getting more serious and finally he accepted the offer. After getting offer he reported the Barcelona with a view to improving his veteran contract. But they have not shown interest to do that and finally he moved the the Vikings side. The former Portuguese had won La Liga title for four times The most interest thing is that twice with Barcelona and twice for the Whites. Apart of that he whip champions League cup for once and this time it was favor of the Whites in 2002. Figo is very powerful attacker and refered as one of the greatest players in his time. He became the best ever footballer in Portugal team. With physical cusp he was a fast and hard working player. His elegant attitude alway witness of his ability. In that time it was hardly seen such a highly skilful player in the world. He always take the beat and can handle the situation easily. His ball passing style was really unique. In La Liga history he assisted the second most goal rear Messi. Ronaldo has not made any argument against of the Figo’s comment. The coach Zidane also silent about the topic. Even he is very happy for CR7 who going to make join the side after the international break. Ronaldo assured his fitness from injured and very close to join the side. It is also a delighting news for Real fans to watch Ronaldo in action. We not sure Ronaldo will make the rivalry move or not but it is confirmed Los Blancos will not release the striker so easily. Ronaldo also not willing to jump from the side and wanted to stay the side forever.